Thomson, Helen. 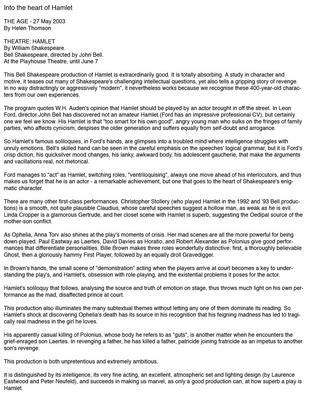 "Into the heart of Hamlet." The Age 27 May 2003.